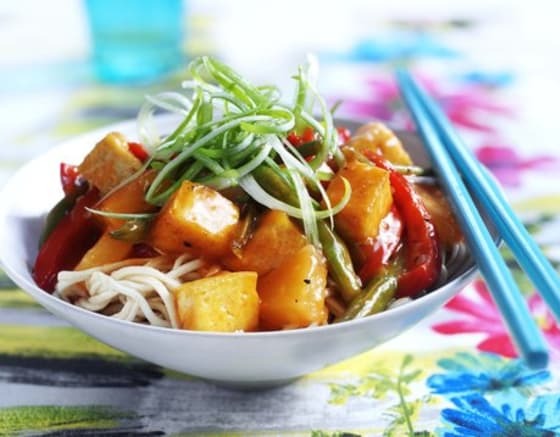 Forget a takeaway – make your own delicious sweet and sour at home. With natural sweetness and a warm chilli flavour. 250g Cauldron Organic Tofu, drained and pressed well for 20-30 mins. Following the instruction on pack, changing the kitchen roll a number of time, as it absorbs the water. 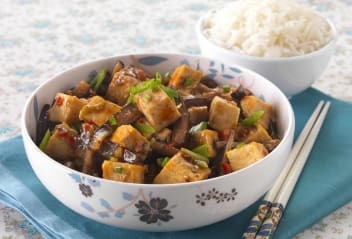 Pre-heat the oil and fry the tofu on all sides until golden brown, then remove from the pan. ketchup and stock, then bring to the boil. Dissolve the cornflour in a little water and add to the pan, stir until thickened. Add more stock if necessary. 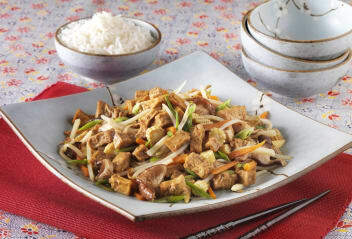 Season to taste with salt and pepper, return the tofu to the pan. For a spicier dish add some finely diced red chilli.